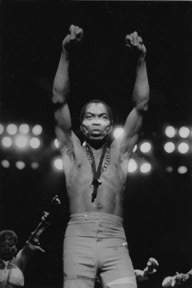 Posted on June 23, 2012, in Africa and tagged Africa, african music, african queen, afrobeats, afrobeats blog, afrobeats in the world`s eye, brazil, chop my money, chop my money meaning, dbanj, define afrobeats, definition of afrobeats, fela anikulapo-kuti, fela kuti and the afrika 70, mary j blige, mtv uk, mtv uk top 10, oliver twist, p-square, rick ross, tuface, viva africa, west african music, what does chop my money mean?, what is afrobeats, where is afrobeats from, who created afrobeats, who is the grandfather of afrobeats, yoruba brazil. Bookmark the permalink. 4 Comments. Awesome piece of writing yet again. I did not realise this tune by D’Banj was what you were talking about but I LOVE this tune as to me it’s quite original which leads me to think I’d really like Afrobreats “) I’m not aware of being aware of any other Afrobeat tunes, if that makes sense but I’m confident I’d like them and am definitely going to have a look for more due to this brilliant informative piece of writing. Thanks once again for your ever so encouraging comments/remarks Mr. Stoll! Always appreciated!Kind regards. Medicine for the soul! The Ancestors are pleased with your work! That put a smile on my face Nehast. Thank you.